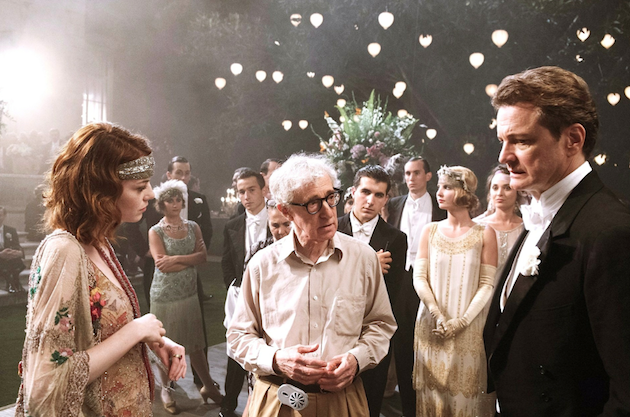 The Resident Tourist: A Woody Allen Weekend . . . I debated whether or not writing this post, which is why it's a day late. He's such a controversial character that it's hard to laud his 'artistic genius' sometimes. But the truth is I cannot deny the absolute romance and style, glamour and nostalgia that he creates in his films. I love them all. I try to separate the man the from the work. And completely unintentionally, I ended up having a "Woody Allen" themed weekend. As we do each year, my family celebrated my sister's birthday at our favorite, The Carlyle Hotel - home to the Cafe Carlyle where Woody plays jazz for a well-clad audience every Monday. I think it was Friday night's jazz set at Bemelman's Bar, sprinkled with champagne and chocolate cake, that instantly set the tone for the rest of the weekend. Saturday started with New York bagels at Zabar's E.A.T. and shopping on Madison, moving into dinner and a show: martinis and steaks at Wolfgang's and Bullets Over Broadway, a musical by Woody Allen starring Zach Braff. Sunday continued with petite sandwiches at Sant Ambroeus and an uptown stroll, followed by a trip to the movies to see Woody Allen's Magic in the Moonlight (it was so good! ), and ending with spaghetti and Primitivo al fresco at Cafe Fiorello. I told you it was a "Woody Allen Weekend." Hope yours was great too!